To close out Pasta Week, I felt it only appropriate to revisit an old recipe. 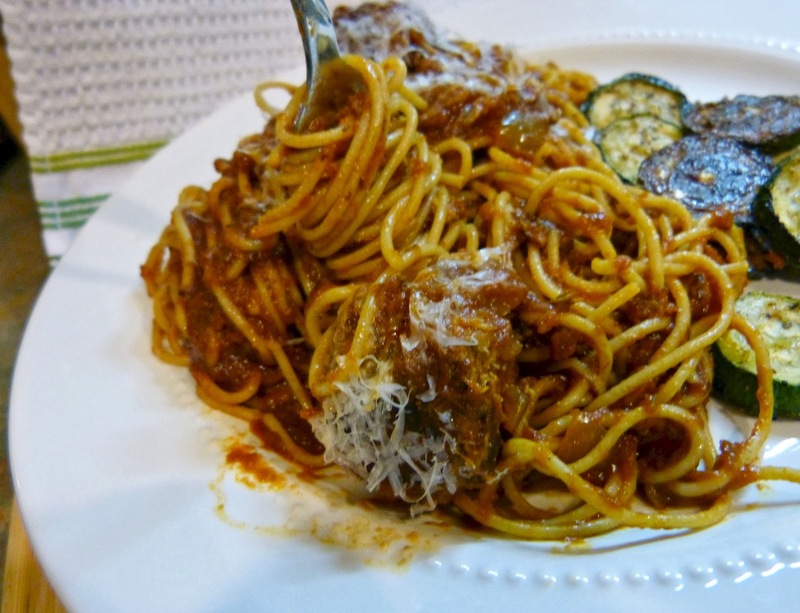 I mentioned my mom's marinara sauce on Monday in my intro to Pasta Week and as much as it was a recipe in heavy rotation in our house back then, it still is in my house today too. I have tweaked the recipe along the way adding different textures and a little more depth of flavor and the version that I am sharing with you today is my current favorite rendition of it. I love this recipe because it's so easy to throw together in your slow cooker where it simmers for hours and makes your house smell great-- like you have a Nonna who has been cooking in your kitchen all day. The recipe makes a huge amount, so it's perfect for portioning out and freezing for future dinners, which is especially nice when you're in a hurry. 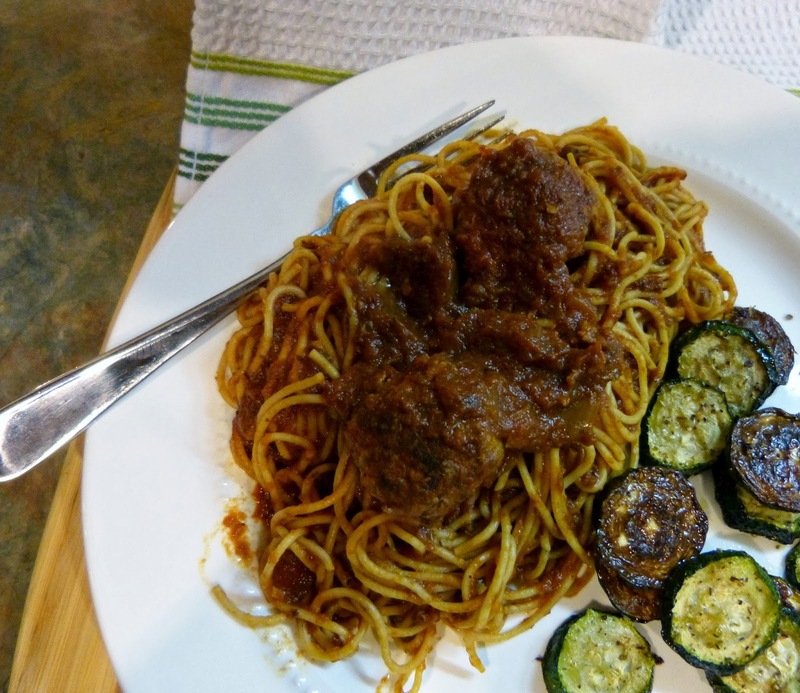 We enjoyed our marinara recently over spaghetti with homemade meatballs, which I also make in large batches and freeze in smaller portions. So, plug in your slow cooker this weekend and start up a batch of this sauce. I promise its not intimidating to make and you'll be so happy to have this delicious sauce in your freezer and available any time you need a last minute dinner! Preheat a slow cooker to low heat. Heat olive oil in a skillet over medium heat. Add the shallots and cook until they begin to soften, about 3-4 minutes. Add the minced garlic and cook for an additional 2 minutes, stirring frequently making sure that garlic cooks, but does not brown. Add the the tomato paste to the shallot and garlic mixture and cook for about 8 minutes. Add the tomato paste mixture to the slow cooker along with the tomato paste, puree, and sauce. Pour wine into one of the emptied 28 oz. cans and then fill to the top with water. Pour into the slow cooler along with remaining ingredients through salt and pepper. Stir ingredients well to combine and cover. Let the sauce cook on low heat for 6 hours, stirring occasionally. Remove the bay leaf and serve or let the sauce cool and store.